Enterprise Development Consultancy Company Limited (EDConsult Co.,LTD.) a firm of lawyers and consultants, founded in 2002, specializes in providing high quality end-to-end services in Business Startups consulting, Legal advice and investment consulting services for project development to enterprises and local as well as foreign investors. EDCON is one of leading professional consulting company in the field of providing investment consulting service, legal advice for investors, conducting procedure of setting up, developing, and restructuring enterprises in Vietnam. 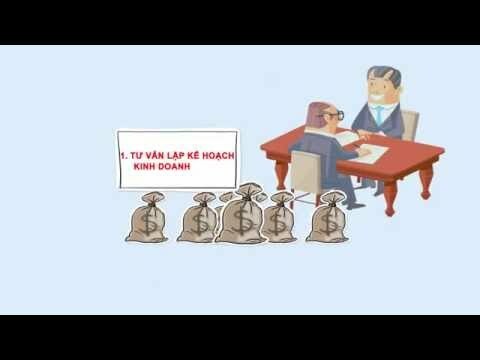 We also assist investors to develop their investment project and business plan in Vietnam. EDCON specializes in supporting start-up directors in setting up joint-stock company, limited liability company; establishment of joint venture company, company with 100% foreign investment capital, establishment of branch, representative office, business place according to their business development plan. Besides, EDCON offers consulting services to effectuate procedure for change of Business registration certificate such as registration of changing company headquarters, changing company’s member , charter capital, business activities, Director, etc. Providing free of charge legal regulations. Initially, when coming up with business ideas, you need legal information to determine that which legal regulations the company would have to meet with, in terms of the type of enterprise or business line. Please send us your request to be offered free of charge information relating legislation. Consulting business lines, encoding systems, CPC code, HS code. Usually, when starting a business, directors just aim at doing business, commodities trading, business services, the application code in the system of national economic sectors to be registered appropriately always needs the assistance and advice from lawyers, consultants, those people who have extensive experience in business registration. Consulting in preparation of investment registration dossier, business registration dossier. Please contact, we will send you a questionnaire to fill out your information. Based on the information you provided, EDCON will prepare and complete the dossiers to get the investment registration certificate and the business registration certificate suitable for your case. Consulting procedure of post license, including steps to bring the company into operation. EDCON will equip the facilities for a start-up director, and the newly founded companies by the seal registration services, tax declaration, registering to print red invoice , registering accounting system and establishing working schedule that start-up directors need to do. Implementing procedure for establishment of branches, representative offices, business location. Implementing procedure relating to the change in business registration. Providing the form of documents for the internal management of enterprise.